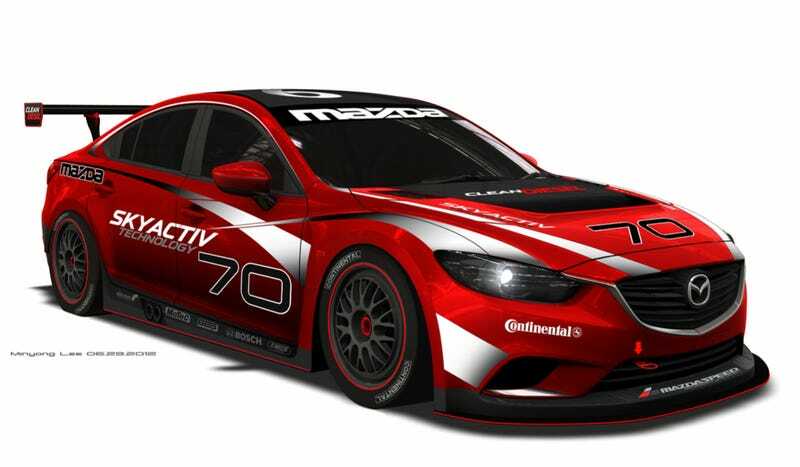 Remember how excited we were yesterday when we heard the Skyactiv-D Mazda6 was coming to America? For those of you that don't, we were very excited. Well guess what? IT'S GOING RACING! HELLZ YEAH! Yeah, we're having a crisis right now. It should be a boon at the 24 Hours of Daytona too. That great fuel mileage will make up for any pace it might be lacking. It seems Mazda wants diesel to succeed in America and is putting money behind it. This is excellent news. And thanks to @jdoggny, we have a video of the Skyactiv-D on the dyno doing its thing. SUHWEEEEEET! Friend of Jalopnik Marshall Pruett is reporting that the engine may also appear in an LMP2 prototype at the 2013 24 Hours of Le Mans. Looks like the twin-turbo Skyactiv-D makes around 400 horsepower. Not too shabby.